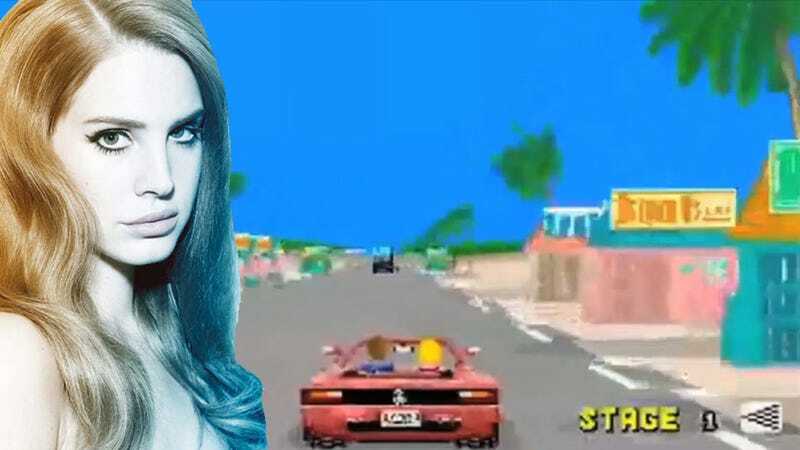 Soulful songstress Lana Del Rey made a splash last year with her single "Video Games", a song that repeated the term 'video games' several times, causing many gamers to fall instantly in love despite the games in question being used as an example of how routine her once passionate relationship had become. The video was lovely, but it lacked a certain something: Actual video games. Chiptune artist Leeni has crafted a gorgeous cover of "Video Games" that not only sounds much better than the original tune, its video contains real honest-to-goodness video game footage. Let's watch! Leeni compiled the music video for her version of "Video Games" using clips she felt mimicked the feel of the original music video. I think she did a fabulous job, even if she was forced to use Barbie game cut scenes. I've been following chiptune for a while now and this is the first time I've heard of Leeni, which isn't surprising considering the sheer amount of artists out there. After listening to some of the other tracks on her website, I'm quite sure I will never forget her. If you'd like to hear more from Leeni (you should), her latest EP, Headphones On Your Heart, is currently on sale at Bandcamp, with 100 percent of the proceeds going towards The Jed Foundation's Love is Louder campaign and other suicide prevention programs. Great music for a good cause? Sure beats playing video games and ignoring Lana Del Rey.